Molly was abandoned on a travellers site near Perth, she looks to be an ex-racing dog. The vets think Molly is between 5 and 7 years old, her teeth say she’s older but her fitness indicates younger. Molly has been the perfect guest here at the kennels and was quite delighted with her cosy new bed – it’s likely she’s not been used to such luxuries and she lies stretched out, totally chilled. Molly is friendly towards other dogs, although we couldn’t be sure of smaller dogs and cats due to her breed. As Molly arrived as a stray we can’t rehome her to families with children under 12 years of age. 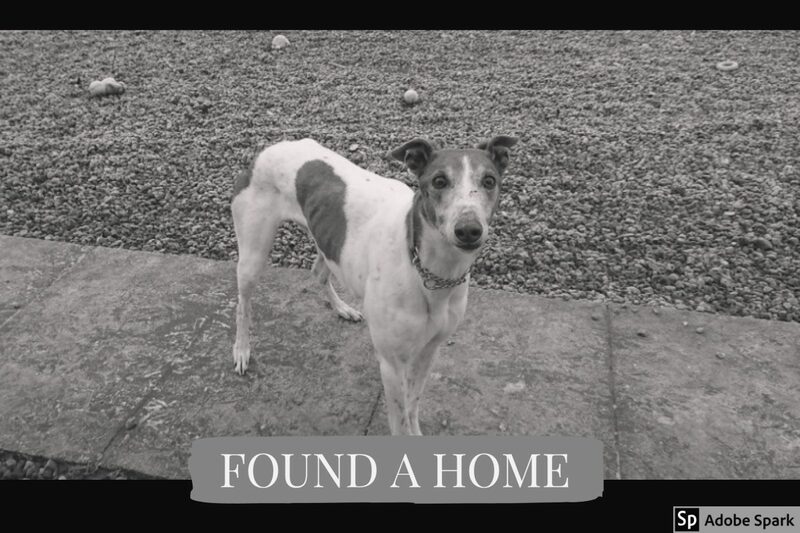 This entry was posted in Found a Home and tagged Adoptdontshop, Golden Oldie, Greyhound, Rescue Dog.